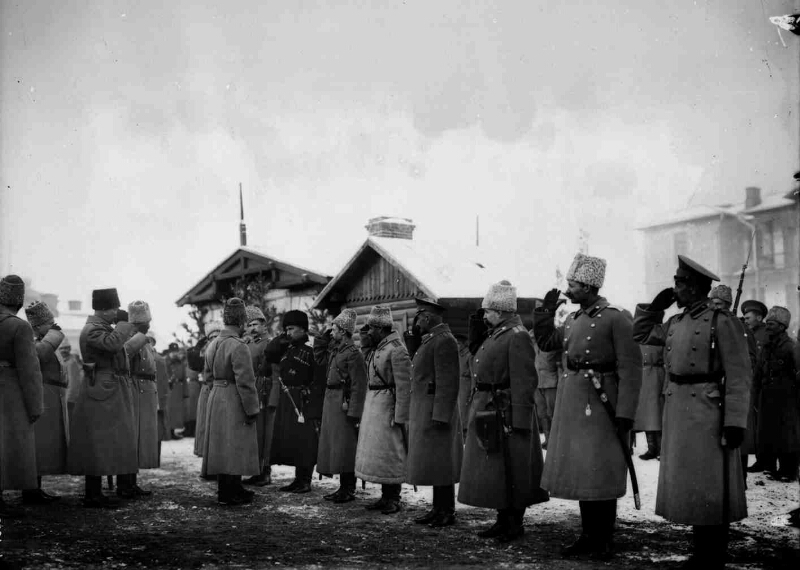 Nicholas II welcomes a group of officers on the day of his arrival in Sarikamish [Izomaterial]: [photo]. - S. Menzengert, December 1, 1914. - Contact seal from a glass photoplate, black and white; 18x24 cm .